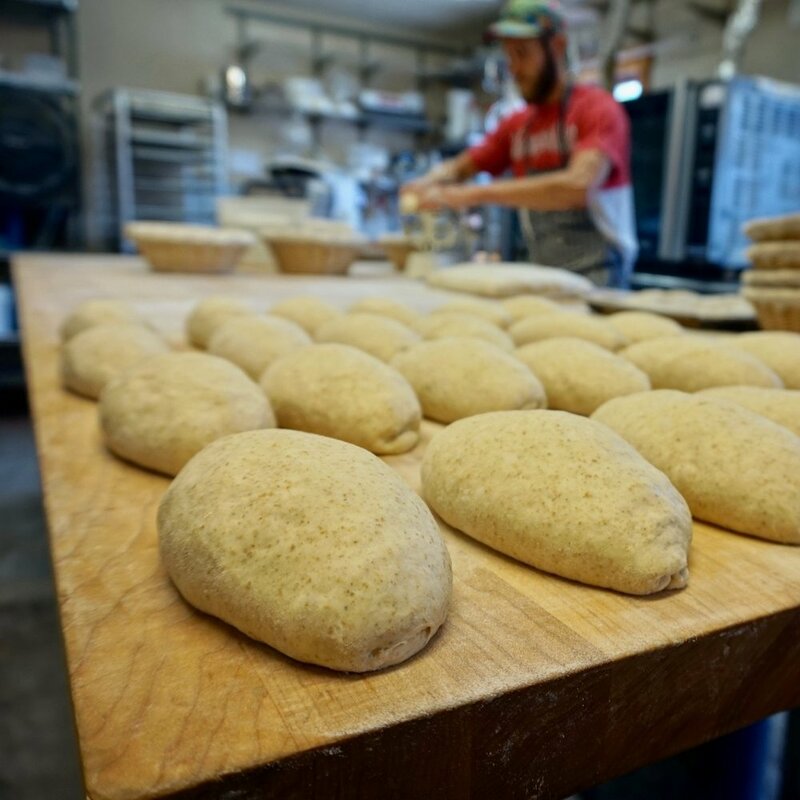 Tabor Bread was the first Portland bakery to mill its own flour and still one of the very few to be using fresh (milled daily) flours in their breads. We have a large Osttiroler stone mill and all of our flours are 100% whole meal (containing all bran and germ). Small orders can be placed at the counter, though it is advisable to order them in advance to avoid long wait times (call 971-279-5530). If you would like larger orders (more than 4 lbs), please call us a few days in advance so that our bakers can prepare accordingly. Heart Coffee Roasters - 5181 SE Woodstock Blvd. Contact info@taborbread.com for more details on how to setup an account with us. Our delivery schedule is Tuesday, Thursday and Sunday, though you are welcome to pick-up your orders any day of the week.